Witnesses say man who drove van through crowd of pedestrians outside London mosque screamed 'I'm going to kill all Muslims'. 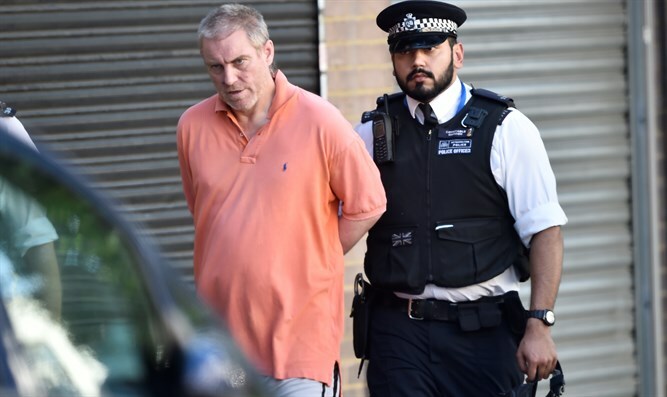 The driver of a van which mowed down pedestrians outside of a London mosque said that he wanted to “kill all Muslims”, witnesses say, before he was arrested. The 48-year old suspect drove his van up onto a sidewalk in Finsbury Park in London Sunday night, ramming into a dozen or so pedestrians. One person was killed in the incident and 10 more wounded. While authorities initially refused to comment on the nature of the incident, reports by witnesses suggest it was likely a deliberate attack targeting mosque-goers and not a traffic accident. According to witnesses present at the time of the incident, the driver of the van was subdued by civilians at the scene after he struck a crowd of pedestrians. The driver attempted to break free, and screamed “I am going to kill all Muslims,” The Telegraph reported. "Then we managed to get him on the floor. Then he was saying, 'Kill me, kill me'. I said, 'We are not going to kill you. Why did you do that?' He wouldn't say anything.